New to Hiking? 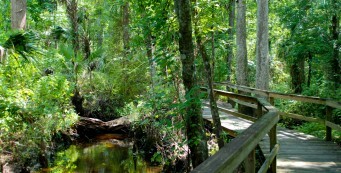 | Florida Hikes! And you shouldn’t be, either. 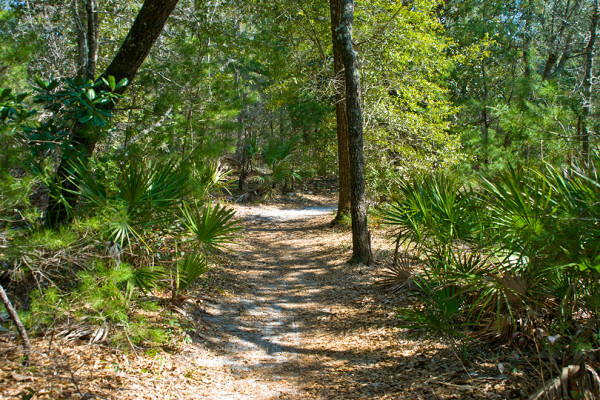 Florida IS different, but just like anywhere else, there are plenty of places to take a hike here and get comfortable with our outdoors. Both of us were introduced to the outdoors at a young age. 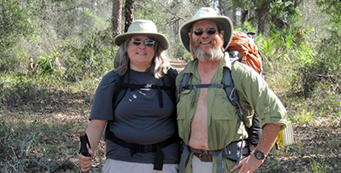 Sandy started hiking with her parents as a toddler, and John learned to hike as a Boy Scout. The skills we learned as kids we still use to this day. Which is an important reason to take your kids with you! Before you head out on your first hike, you need to know what you’re physically capable of. Can you walk a mile? Two? Ten? 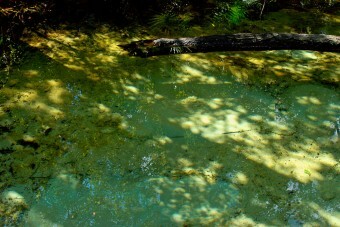 As an adult, I didn’t tackle any trails over four miles until I went with a group of friends on an eight mile hike. It surprised me I could walk that far, so it didn’t scare me to try ten, twelve, fifteen, and twenty miles in a day after that. But if you’ve never hiked before, start with short hikes. 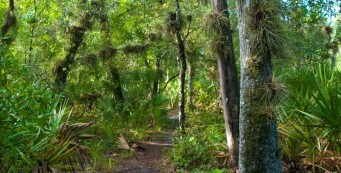 Why we hike Florida- Why do we hike Florida? It's in the details, the natural wonder we find by following trails across lands preserved for future generations. 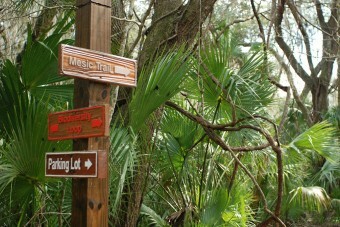 Before you go, you should also figure out where you are going and find a map for it. That’s where this website can be very helpful. What are you looking for? Somewhere pretty, or somewhere with fabulous wildflowers? Do you want to take your dog along? We have dozens of different categories under which the hikes on this site are filed, and you can dig through them. 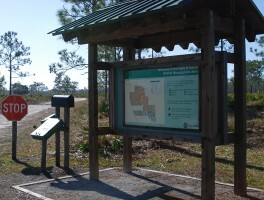 Some parks, especially state parks, require an entrance fee. 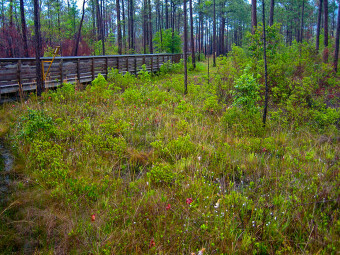 Permits are needed to hike on certain lands, like Eglin Air Force Base. 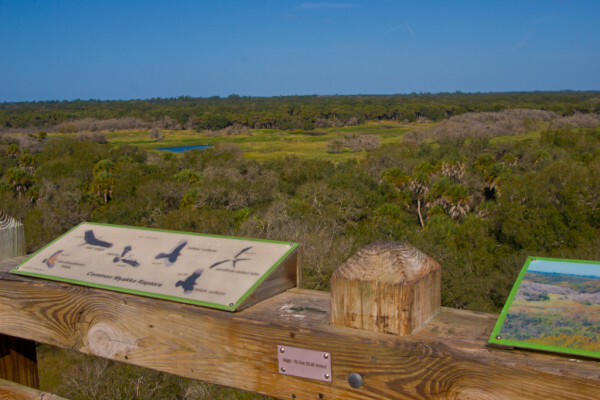 How to obtain permits and passes- Details on how to obtain passes and permits for Florida's public lands, including Florida State Parks, State Forests, Wildlife Management Areas, National Federal Lands, and Eglin Air Force Base. There are safety considerations for hiking, too. You need to be just as aware of your surroundings when you’re on the trail as you would be on a city sidewalk. 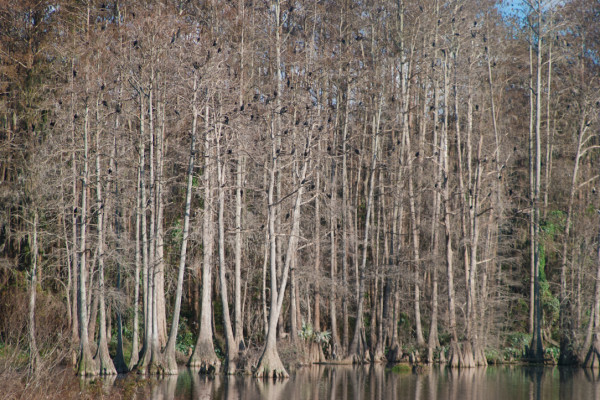 It’s also important to know if where you’re planning to go is open to hunting when you intend to be there. 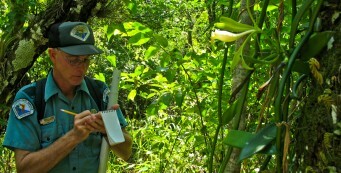 How to hike safe when hiking alone- Heading off on a hike alone? Here are some suggestions as to how to watch after your own personal safety, especially in urban settings, when you take a walk in the woods. 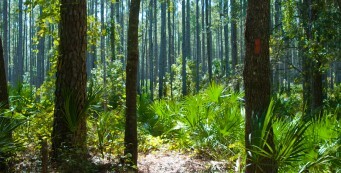 Hiking during hunting season- Florida's hiking season is also the prime season for hunting in Florida. 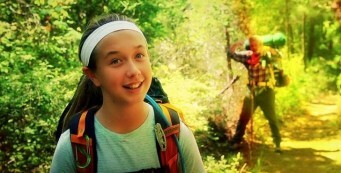 Be aware of where you're hiking - many public lands permit hunting - for your personal safety. Don’t want to hike alone? 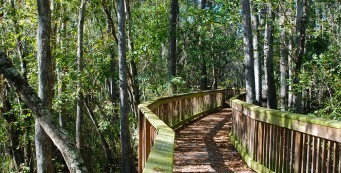 Meetup groups around Florida offer group hikes. 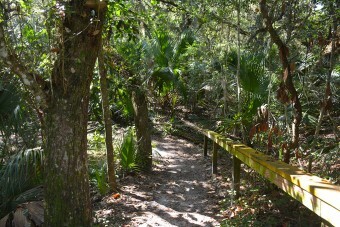 There are chapters of the Florida Trail Association across the state that welcome new hikers and provide guided hikes year-round, which is a great way to tackle your first real hike. Make sure it’s a distance that you feel comfortable with. 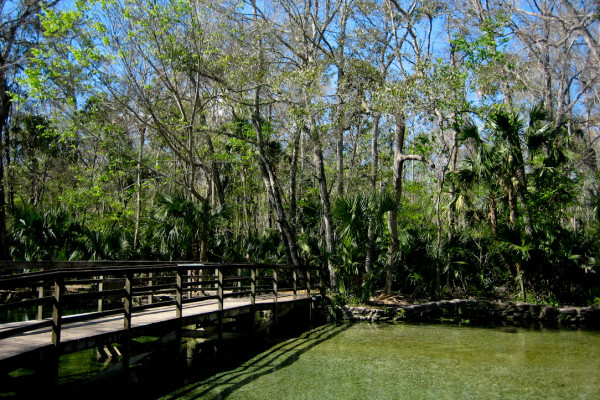 The easiest way to get comfortable with Florida’s outdoors is head for a park near you. 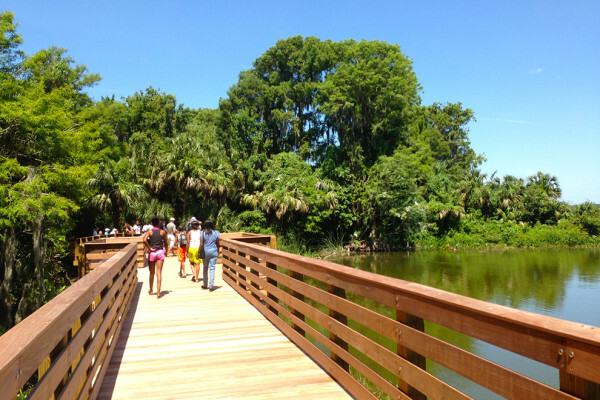 This is easiest to do in urban areas like Orlando, Tampa, Miami, Jacksonville, Naples, and Pensacola, where local parks often offer paved trails and boardwalks. 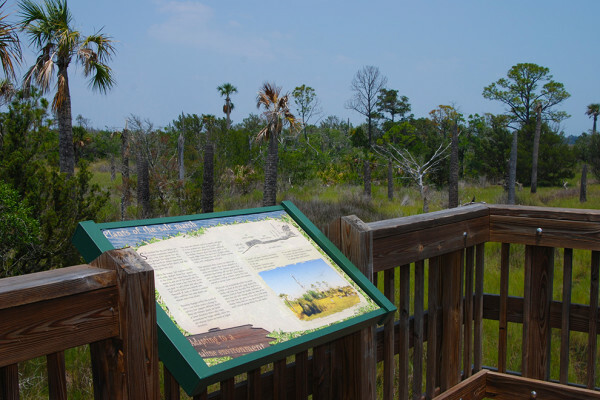 Most Florida State Parks offer interpretive nature trails which are very short in length. 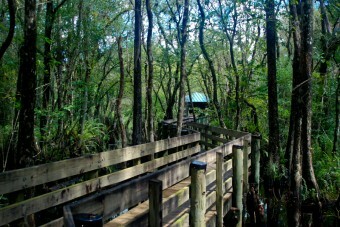 So do nature centers. Wheelchair-bound? 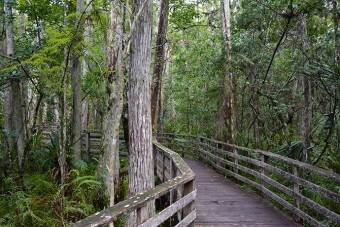 You can get out and enjoy Florida’s outdoors on these accessible trails that offer wheelchair-ready surfaces, either boardwalks, paved, or natural. 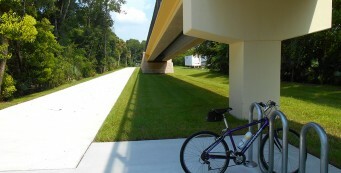 Discover Florida’s bike paths using our ride reports and trail details as we explore Florida on two wheels during the hot summer months. 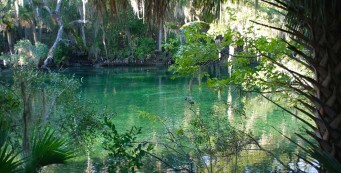 County parks in Florida range from the hometown fishing hole to quiet campgrounds and springs that stay busy with swimmers all season. 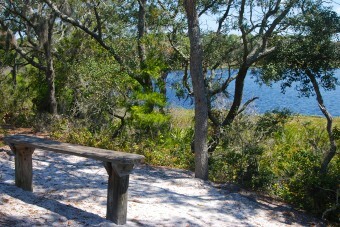 Enjoy getting outdoors in our award-winning Florida State Parks system! 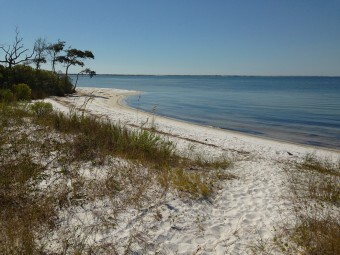 There are more than 160 state parks bringing you the best of natural Florida. 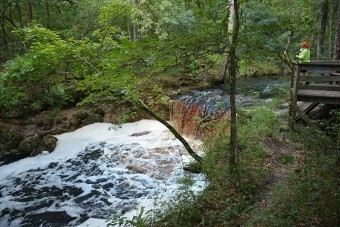 Places where you can walk an easy mile or less, ideal for a quick reconnect with nature during your busy day. Many of these are interpretive, too! 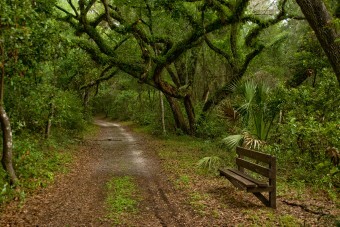 Select a trail that’s less than a mile for your first time out, just to get used to walking in the woods. Remember, Florida IS different! 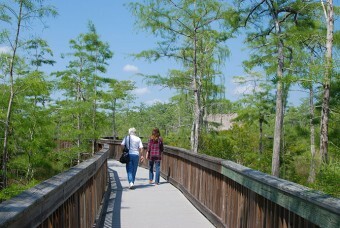 You’ll find out how on our “Florida 101” page, which includes information about plants, wildlife, insects, and more. Taking a longer hike means you need to prepare more thoroughly before you go, no matter whether you walk 2 miles or 12 miles in one day. You’ll need to prepare a daypack with certain essentials: enough water for the trip, food for the day, a small first-aid kit, and more. 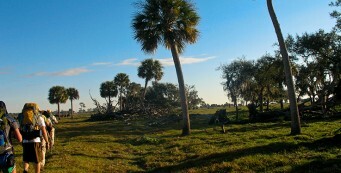 How to pack for a Florida hike- The Ten Essentials and more: a checklist for items you'll want to bring with you for day hiking and backpacking in Florida. 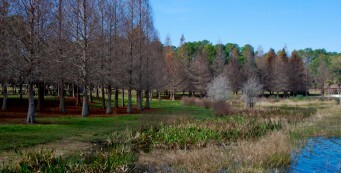 Florida's climate and weather are unlike most of the rest of the United States, so your selections take some planning. Once you’re comfortable with a long day hike, you might be up for a bit of adventure. 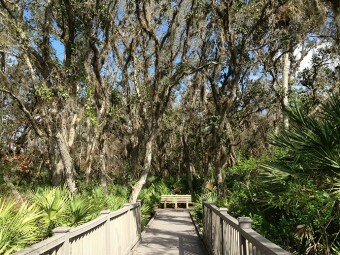 Florida certainly has it! 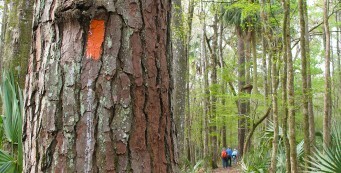 Try tackling portions of our National Scenic Trail, the Florida Trail, as day hikes. 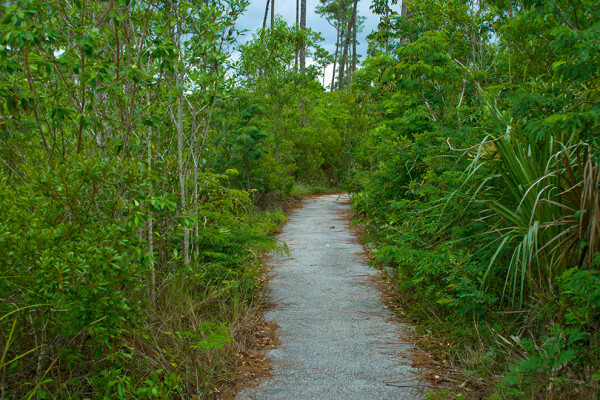 While the trail stretches 1,400 miles across Florida, there are hundreds of trailheads with opportunities for rugged day hikes. 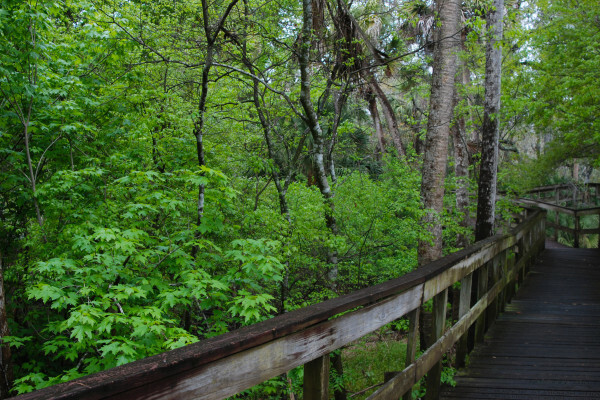 Explore natural Florida on the Florida Trail by taking a day hike along a portion of our statewide National Scenic Trail, with a trailhead not far from you! 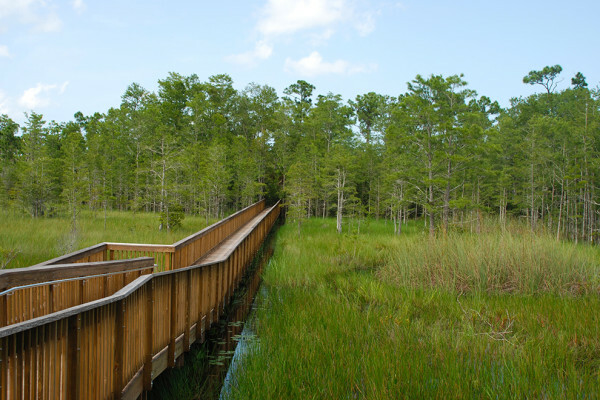 One of the wildest and most wonderful aspects to hiking in Florida is the availability of swamp walks through many habitats in Florida. 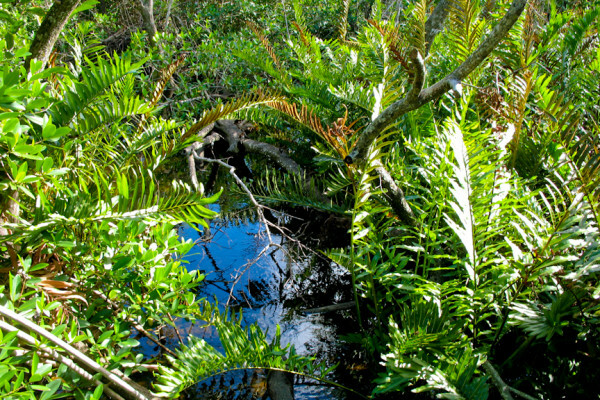 In South Florida, wading through swamps is a popular pastime, especially with a guided group. 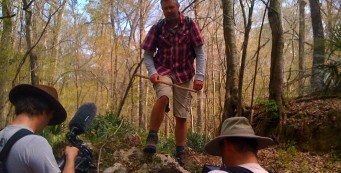 And don’t forget our hilly hikes. 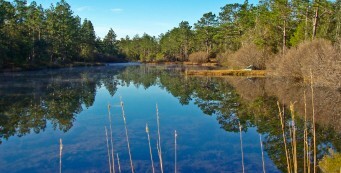 We may only have a few hundred feet of elevation across the state, but these hikes can be a lot of fun. Backpacking means heading out to the woods and camping overnight (or longer) with all that you need – a shelter, kitchen, food, bed – carried on your back in a backpack. 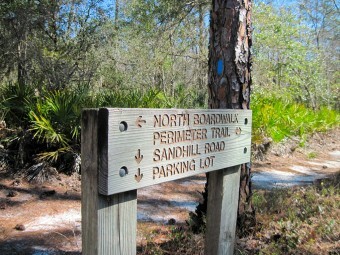 John learned how to do so in Boy Scouts, and earned his 50 Mile patch on a backpacking trip on the Florida Trail. My family didn’t backpack, so I didn’t even try to do so until my 35th birthday. It was certainly a learning curve! That’s one reason that you should rent gear before you buy gear: be sure you actually enjoy backpacking before you commit to the costs of it. A new outfitter in Tallahassee, Camp Folks, provides gear for rent for you to try out in the outdoors. I was fortunate to have the support of an online community to help me figure out my gear, and it took years of trial and error to assemble what’s right for me. And that’s the crucial part. YOU need to figure out the correct balance of weight (what you can carry) to comfort (what you feel you need to take with you). What does a hiker need to spend a week, or a month, or three months on the trail? 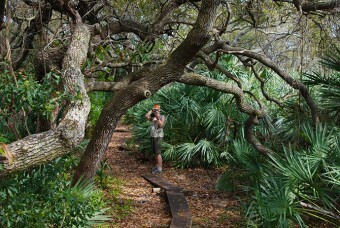 Here are trail-tested suggestions for backpacking in Florida for trips of a week or more. 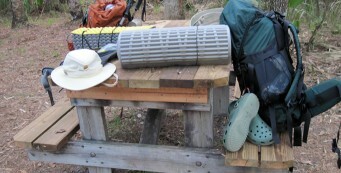 How do you pack for a Florida backpacking trip? 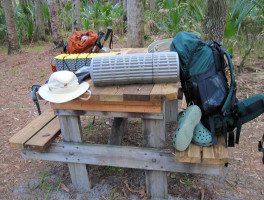 In this video clip from How to Do Florida on how to prep for a backpacking trip, Sandy shows Chad Crawford what she carries in her backpack and why. With backpacking, there are needs, and there are wants. 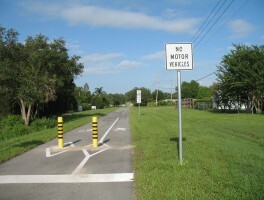 Most of the wants speak to concerns about safety and comfort. The difference between wants and needs adds to the load on your back. Choosing backpacking gear can be a little overwhelming, especially when it comes to the big, important items such as your tent, your sleeping bag, and your backpack itself. Keep in mind that your knees will be happier the less weight you carry. But don’t sacrifice comfort for weight until you’ve gotten proficient with living outdoors. One of the best gifts you can give your kids is time with them outdoors. 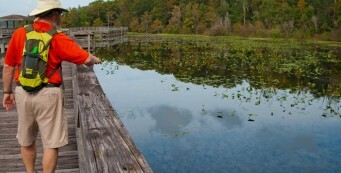 How to Do Florida host Chad Crawford offers his inspiration on backpacking with your children. 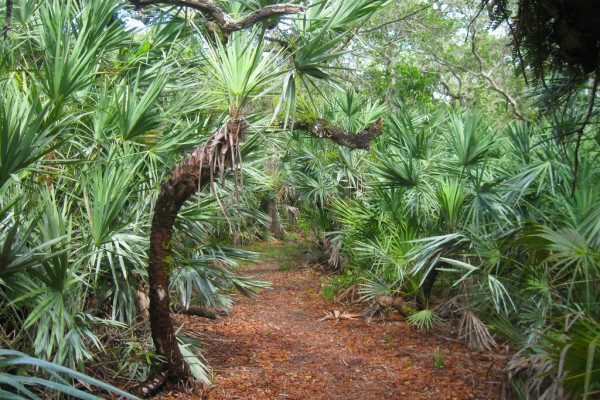 We’re Florida authors, so of course we want you to read our hiking guides! 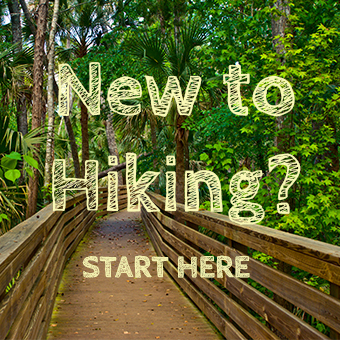 The guides below contain step-by-step instructions for many easy beginner hikes, with plenty of details about what you can expect to see along the trail. We also recommend our friend Karen Berger’s book on the basics of hiking and backpacking. As with almost all bookcovers you see on our website, these links lead to Amazon.com. We receive a few cents from them if you buy a book. 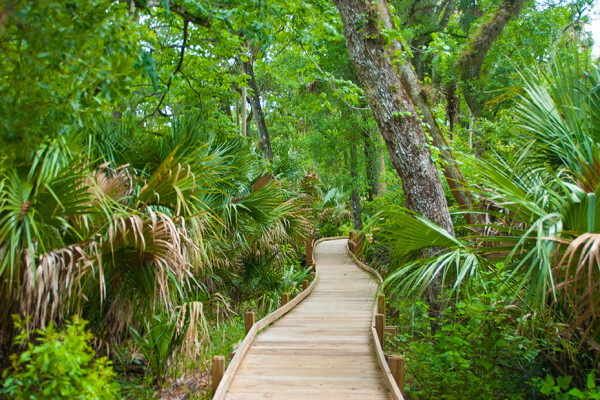 If you're new to hiking, we recommend these hikes. They are short, pretty, easy to follow, and generally well marked.